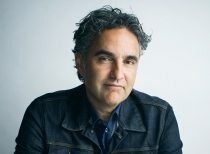 Bruce Croxon is a modern Renaissance man living the entrepreneurial dream. He was one of the most popular judges on CBC’s hit show Dragons’ Den and is the entrepreneurial co-founder of the revolutionary online dating website Lavalife. Bruce can be seen on BNN’s The Disruptors where he provides analysis on Canada’s most innovative tech companies. Through the network effect of connected devices, we are arguably in the greatest period of change since the Internet was commercialized in the mid 90’s. What is going on, how fast, who is being impacted and what can today’s businesses do to adapt to an environment where nothing seems to stay the same. Innovation and risk-taking go hand in hand. In order for an entrepreneur and organization to continuously innovate and succeed, they must be willing to take calculated risks, make mistakes and most importantly learn from them. Bruce will reveal his entrepreneurial journey and lessons learned in building the Lavalife organization into a 100 million dollar company. Providing informed insights on what it takes to achieve success in today’s ever fast paced and demanding entrepreneurial environment. With a strong vision and a belief in the power of partnerships, Bruce Croxon helped Lavalife grow to 600 employees, achieve almost $100 million in revenue, and to ultimately sell the business for over $170 million. Under his direction as Partner and CEO, this early tech start-up became the marquee brand in online dating with over two million users (and countless successful marriages!). He shares with audiences the importance of having a company vision, defining core values, believing in organizational development, and other lessons learned throughout his successful career. To be a successful entrepreneur takes more than a great idea and a desire to build a great company. To be truly successful, you need passion. Bold all-consuming passion. Bruce Croxon shares how passion can tip the scales of success and addresses the challenges of balancing 24/7 business passion with your life’s commitments and desires. Croxon and his partners at Lavalife tackled the socially stigmatized world of personals to become a category leader and one of Canada’s great success stories. How do you market your business when your happy customers are too shy to admit they use your service? You change perceptions. You change stigma into a great story. Lavalife made it desirable to connect online. Today, if you’re single and aren’t looking online, you’re missing out. That mindset is now incorporated into the undeniable social media lifestyle of our culture. Croxon shows organizations the importance of redefining a brand through marketing. That no matter what the challenges are, businesses can reinvent themselves and thrive. Bruce was by far the best speaker FEI has invited and dinner was incredible. You have really set the bar for the remainder of the year! The speaker obviously enjoys speaking and does so frequently as he could present with no notes or power point. He's also very passionate and therefore entertaining. It would be great if all of our speakers were like this. It's a breath of fresh air for corporate financial execs to hear from a successful entrepreneur and, that too, a TV star. Bruce is now taking his expertise to a new level; he currently helms Round13, a company dedicated to investment in growth stage digital Canadian companies. He currently co hosts The Disruptors on BNN and CTV, a weekly show spotlighting Canadian business and believes our entrepreneurs can hold their own with anyone in the world. He also peruses personal investments in the health and wellness sector, owning Vida, a chain of high-end holistic spas on the west coast of Canada. Most recently, he invested in FEAST, an allergy-friendly fine food store based in Toronto. As an investor on CBC’s Dragons’ Den for three years (2011- 2013), Bruce added a broad range of businesses and products to his portfolio including Balzac’s Coffee and EnRICHed Academy, which tap into his passion for digital media, marketing and contributing positively to the community.